Real-time fitness tracking, at your fingertips, on your Android phone, no extra devices required. 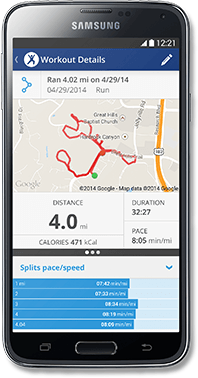 Our apps use your smartphone's GPS to record every detail of your workout. Follow your route on an interactive map while logging time, distance, speed, pace, elevation and calories burned. 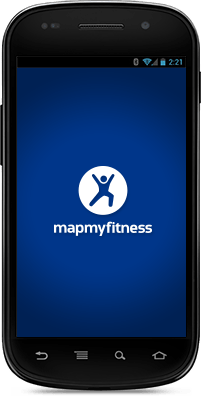 Sync, store and review your mobile data on the MapMyFitness site. "Great app for anything outdoors. Lots of different activities. GPS is easy and works great. I also love being able to see my historical workouts."